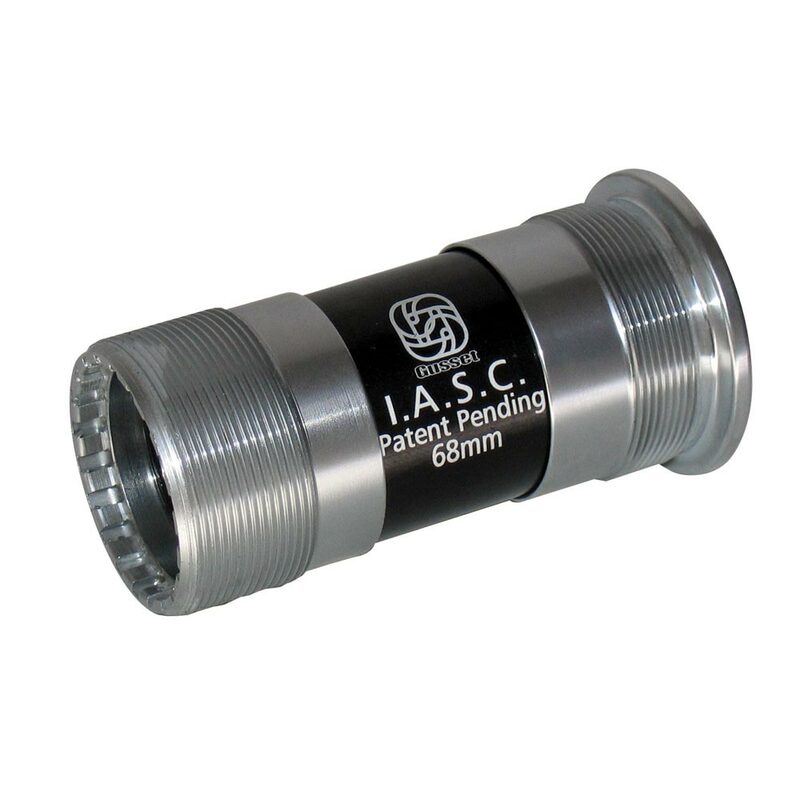 ASC BB system for 19mm axles in Euro (BSA) type threaded BB shells. Compatible with BMX type Gusset Hunter and Gusset Woodstock cranksets and most other similar sliding 19mm axle crank systems. The patent pending Gusset I.A.S.C. BB system installs easily with a UN type tool to give optimised bearing adjustment and additionally forms an effective dirt and water internal shield. The IASC system is also fully serviceable and also allows easy replacement of the individual Industrial cartridge bearings as required.